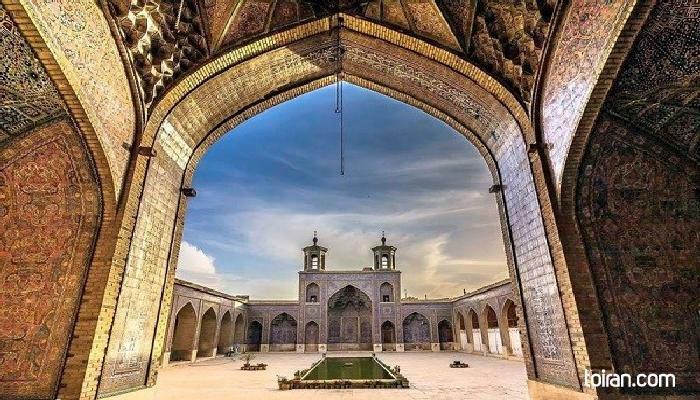 The Vakil Mosque, which is situated west of the Vakil Bazaar, is another Zand era (1750-1794) monument of great architectural and artistic significance. 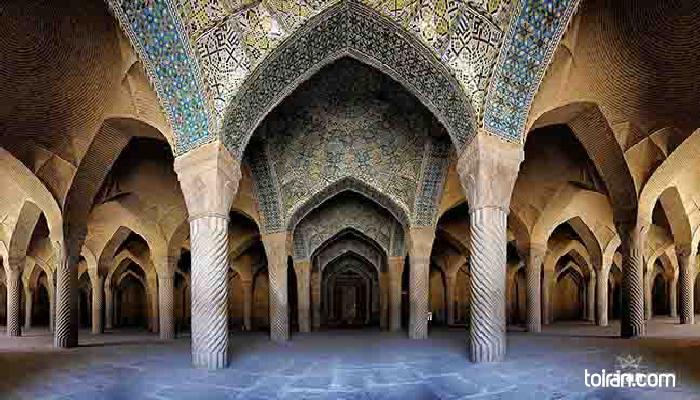 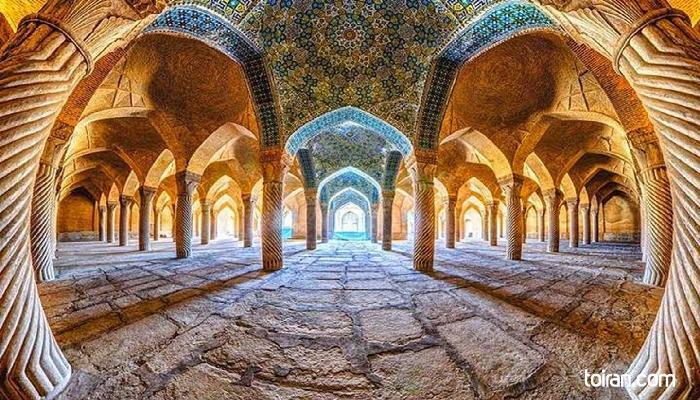 Haft rang (seven-colored) style tile work and magnificent moarraq decorations have been used in the design of the mosque. 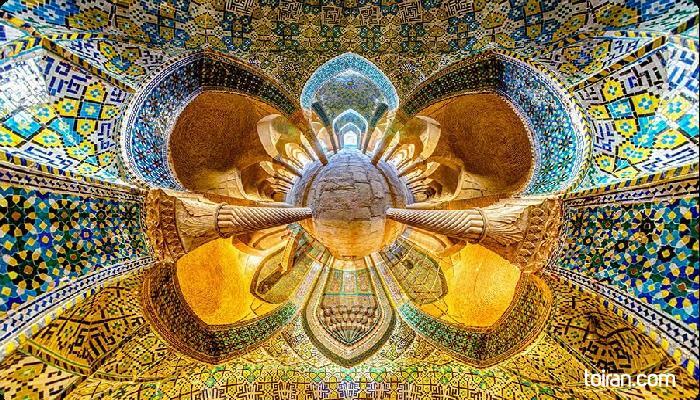 The Minbar (pulpit) of the mosque has been cut from a solid piece of green marble and the Shabistan (inner sanctum) has 48 monolithic marble pillars carved in spirals.